A very different kind of book. It contains eighteen articles by Hollywood insiders who identify themselves as Christian. There is evident diversity in how that faith perspective is understood and expressed. Craig Detweiler, Ron Austin, Barbara Hall and Ralph Winter are perhaps the best know among the writers. 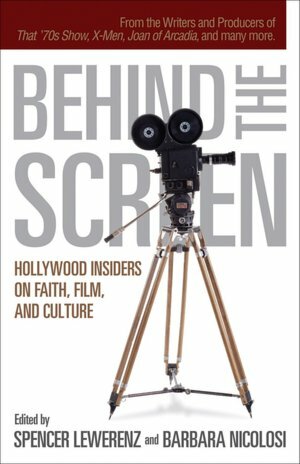 However each piece brings a certain freshness to the conversation as to what it means to be a person of faith behind the scenes in Hollywood. There is nothing technical in the book it is more anecdotal and personal drawing the reader in to each story. This is a work that will provide a glimpse into a part of the Hollywood story that we don’t hear about and may serve to bring a little hope and perhaps some balance to the stereotype banter about all that Hollywood does.